* This product is only a part of Kadence Membership or any Kadence Theme. You can not buy it individually. 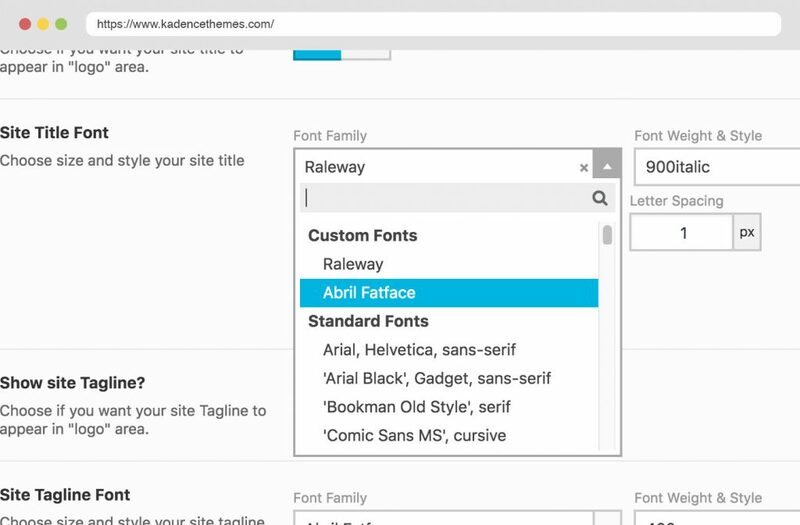 Easily add custom fonts to your site and assign them through the theme options panel. 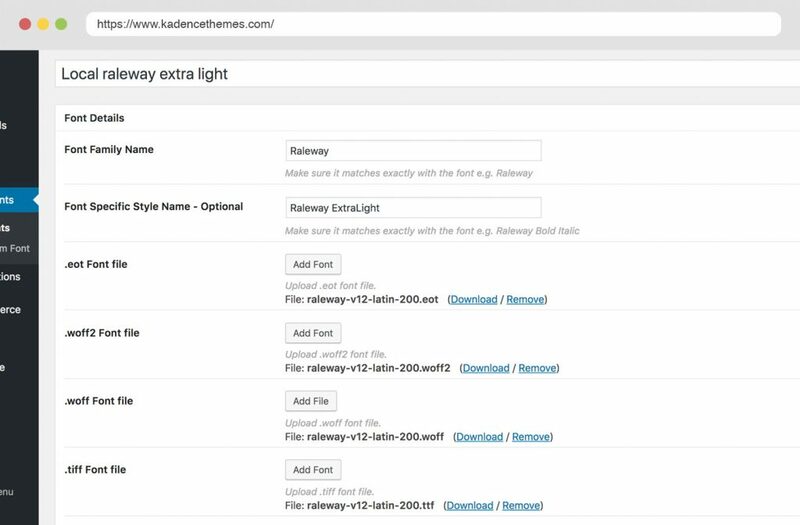 Each custom font is automatically added to the list of font options in your Kadence Themes options panel.